Mahashivaratri Festival or the The Night of Shiva is celebrated with devotion and religious fervor in honor of Lord Shiva, one of the deities of Hindu Trinity. Shivaratri falls on the moonless 14th night of the new moon in the Hindu month of Phalgun, which corresponds to the month of February - March in English Calendar. Celebrating the festival of Shivaratri devotees observe day and night fast and perform ritual worship of Shiva Lingam to appease Lord Shiva. 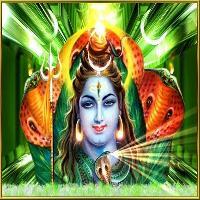 There are various interestinglegendsrelated to the festival of Maha Shivaratri. According to one of the most popular legends, Shivaratri marks the wedding day of Lord Shiva and Parvati. Some believe that it was on the auspicious night of Shivaratri that Lord Shiva performed theTandava,the dance of the primal creation, preservation and destruction. Another popular Shivratri legend stated in Linga Purana states that it was on Shivaratri that Lord Shiva manifested himself in the form of a Linga. Hence the day is considered to be extremely auspicious by Shiva devotees and they celebrate it asMahashivaratri- the grand night of Shiva. Various traditions and customs related to Shivaratri Festival are dutifully followed by the worshippers of Lord Shiva. Devotees observe strict fast in honor of Shiva, though many go on a diet of fruits and milk some do not consume even a drop of water. Devotees strongly believe that sincere worship of Lord Shiva on the auspicious day of Shivaratri, absolves a person of sins and liberates him from the cycle of birth and death. Shivaratri is considered especially auspicious for women. While married women pray for the well being of their husbands unmarried women pray for a husband like Lord Shiva, who is regarded as the ideal husband. To mark the Shivratri festival, devotees wake up early and take a ritual bath, preferably in river Ganga. After wearing fresh new clothes devotees visit the nearest Shiva temple to give ritual bath to the Shiva Lingum with milk, honey, water etc. On Shivaratri, worship of Lord Shiva continues all through the day and night. Every three hours priests perform ritual pooja of Shivalingam by bathing it with milk, yoghurt, honey, ghee, sugar and water amidst the chanting of ?? ?Om Namah Shivaya and ringing of temple bells. Nightlong vigil or jaagran is also observed in Shiva temples where large number of devotees spend the night singing hymns and devotional songs in praise of Lord Shiva. 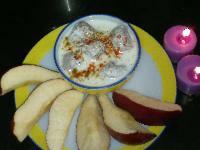 It is only on the following morning that devotee break their fast by partaking prasad offered to the deity. Auspicious festival of Mahashivaratri falls on the 13th or the 14th night of the new moon during Krishna Paksha in the Hindu month of Phalgun. The Sanskrit term, Krishna Paksha means the period of waning moon or the dark fortnight and Phalguna corresponds to the month of February - March in English Calendar. Shivaratri Festival is celebrated on a moonless night. According to Hindu mythology, Shivaratri or Shivas Great Night symbolizes the wedding day of Lord Shiva and Parvati. Many however, believe, Shivaratri is the night when Lord Shiva performed the Tandava Nritya - the dance of primordial creation, preservation and destruction. Celebrating the festival in a customary manner, devotees give a ritual bath to the Lingam with the panchagavya - milk, sour milk, urine, butter and dung. Celebrations of Shivaratri Festival mainly take place at night. Devotees of Lord Shiva throng Shiva temples across the country and spend the Night of Lord Shiva by chanting verses and hymns in praise of the Lord. The festival holds special meaning for the ladies. They pray to Goddess Parvati also called ?Gaura?, the giver of ?suhag? for good husbands, marital bliss and a long and prosperous married life. Devotees of Lord Shiva observe the Shivaratri Festival by following the prescribed rituals with sincerity and devotion. All through the day, devotees abstain from eating food and break their fast only the next morning, after the nightlong worship. Ritual baths of Shivalinga in the numerous Shiva temples by Shiva worshipper, mainly women, is another significant feature of Shivratri customs and traditions. Devotees strongly believe that ritual worship of Lord Shiva on the auspicious day of Shivaratri absolves them of past sins and they are blessed with Moksha. Rituals Observed on a Shivaratri Morning As a tradition devotees wake up early in the morning of the Mahashivratri day and take a ritual sunrise bath, preferably in the holy waters of river Ganga. They also offer prayers to the Sun God, Vishnu and Shiva as a part of a purification rite observed on all-important Hindu festivals. After wearing fresh new clothes devotees visit the nearest Shiva Temple to give the customary bath to the Shivalinga. On a Shivratri day, Shiva temples are thronged by devotees, mainly women, who come to perform the traditional Shivalinga pooja and seek blessings from the god. At times there is so much rush in the temples that devotees have to wait for their turn to observe pooja. At their turn for worship, devotees circumambulate the Shivalinga, three or seven times, and then pour water over it. Some also pour milk. Sounds of bell and shouts of Shankarji ki Jai or (Hail Shiva) reverberate in the temple premises. Shivaratri Pooja has been given tremendous significance in Hindu mythology. 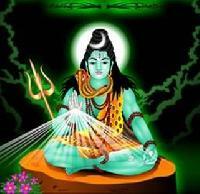 It is said that ritual worship of Lord Shiva on a Shivaratri day pleases Lord Shiva the most. Devotees further believe that by pleasing Lord Shankara on the auspicious Shivaratri day, a person is absolved of past sins and is blessed with Moksha or salvation. Merits of Shivaratri Puja According to Shiva Purana, sincere worship of Lord Shiva yields merits including spiritual growth for the devotees. It also provides extensive details on the right way to perform Shivratri Puja. Shiva Purana further says that performing abhisheka of ShivaLinga with six different dravyas including milk, yoghurt, honey, ghee, sugar and water while chanting Sri Rudram, Chamakam and Dasa Shanthi pleases Lord Shiva the most. According to the mythology, each of these dravya used in the abhisheka blesses a unique quality: Milk is for the blessing of purity and piousness. Yogurt is for prosperity and progeny. Honey is for sweet speech. Ghee is for victory. Sugar is for happiness. Water is for purity. Shivaratri Celebrations in India are marked with devotion and religious fervor. Joy is writ large on the faces of millions of Lord Shiva devotees as they start preparing for the biggest Lord Shiva festival in advance. Celebrations of Shivaratri began with the break of the dawn on the Shivratri day and continue all though the night. 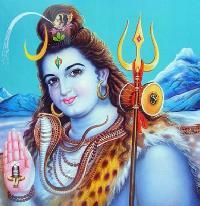 Devotees observe fast and spend the day in devotion and worship of Lord Shiva. Many worshippers also participate in the jaagran or the night vigil organized in various Shiva temples across the country. Devotees believe that sincere observance of Shivaratri puja and all night worship of Lord Shiva will absolve them of all their sins and liberate them from the cycle of birth and death. Shivaratri Celebrations in Temples After the ritual bath, preferably in the sacred waters of river Ganga, devotees pay a visit to the nearest Lord Shiva temple carrying the traditional puja items like milk, water, bel leaves, fruits, incense stick, oil lamp etc. Due to massive popularity of the festival several stalls selling puja items come up outside the temple and do a thriving business. The auspicious festival of Maha Shivaratri is celebrated with devotion and religious fervor all over India and even beyond. Though fasting and worship of Shiva Linga with a ritual bath remain the common feature of Shivaratri celebrations at all places, minor variations due to regional difference can be observed in some states. Please read on to know more about regional celebrations of Shivratri. You will be surprised to know, about the various interesting traditions and customs of Shivratri Festival and the zeal with which devotee of Lord Shiva follow them. Shivaratri Celebrations in Various States of India ? Andhra Pradesh ? Assam ? Himachal Pradesh ? Jammu and Kashmir ? Karnataka ? Madhya Pradesh ? Orissa ? West Bengal Shivaratri Celebrations around the World ? Mauritius ? Nepal Andhra Pradesh Festival of Shivaratri is observed with extreme enthusiasm in the state of Andhra Pradesh. Devotees throng the various important Shiva temples in the state mainly Sri Kalahasteshwara Temple at Kalahasti and the Bharamarambha Malikarjunaswamy Temple at Srisailam. Devotees also observe fast and chant mantras in honor of Lord Shiva to mark the auspicious festival. Assam In the North-Eastern state of Assam, the hub of Shivratri celebrations is at the Umananda Temple, situated on the Peacock Island in the middle of Brahamaputra river in Guwahati, the capital of Assam. Thousands of Shiva devotees from all over the country pay a visit to the temple on the occasion of Shivaratri. Sibsagar, the capital of the erstwhile Ahom kings, is the other major centre of Mahashivaratri celebrations in Assam. Himachal Pradesh The Temple of Bhutnath at Mandi in Himachal Pradesh is said to host the biggest Shivaratri Puja in the country. Every year on Shivratri Festival, the Governor of the state leads a Shobha Yatra at a function inaugurated by the Chief Minister. The royal family of Mandi started the tradition some 500 years ago. An eight-day-long fair is also organized which witness the participation of artists from India and even beyond. Top Jammu and Kashmir Hindus of Kashmir observe Shivaratri with utmost zeal and devotion. Here, Shivratri is celebrated for three weeks or 21 days, beginning on the first day of the dark fortnight of Phalguna (locally known as hur ukdoh) and end on the 8th day of the bright half of Phalguna. Kashmiri Brahmins perform Shivaratri puja on the 13th day of the dark half of Phalguna Krishna Paksha to mark Lord Shiva?s wedding with Uma, the beautiful daughter of the Himalayas. In keeping with their hospitable nature, Kashimiri Brahmins offer even non-vegetarian food in puja to entertain Bhairavas who are said to form the major part of Shiva?s baaraat. Shivratri puja in Jammu and Kashmir is performed in a very distinctive way. Two pots (called kalash), depicting Shiva and Parvati are filled with walnuts soaked in water. These walnuts are taken out only on the third day which usually falls on the no moon day or amavasya. On the third day this walnut which is wet is distributed to all friends and neighbours as prasad. On the chaturdashi (14th day after full moon) there is the real feasting when the families invite each other for dinners. In Kashmir, Shivaratri is also called Hayrath, which is the corrupt form of hairat, a Persian word meaning ?utter surprise?. The term was coined during the Pathan occupation of the valley. Besides, Shivaratri puja is better known as Vatuk Puja in Kashimir where Vatuk means, collection or an assemblage of different objects. The name has been given because the main puja on Shivaratri day involves collection of a large number of articles. The name could also be traced to the term Vatuk Dev, Lord Shiva?s celibate form. People in Kashmir also worship Vatuk Bhairav, said to be Shiva?s most trusted dwarpal (gatekeeper). This is done in a bid to seek his favor for an audience with the Lord. On Hayrath day the children are given money as a gift called "herat kharch". Interestingly it is not only children who receive gifts, for even husbands give gifts to their wife and the elder brother gives to younger brother. On the next day there is also a tradition to play the game of "harr" which is played with the help of sea shells.Karnataka Festival of Maha Shivaratri is observed with pomp and enthusiasm in the southern state of Karnataka. A grand Sri Shidlingappa?s fair is observed to mark the auspicious occasion. Deity is taken to the river in a palanquin accompanied by drummers (Dollu and Majalu) from several neighboring and is then worshipped. Linagayats, people of the Shiva cult, worship Linga on Shivaratri. Following a tradition, married women wear a linga made of silver or gold on their body. In southern Karnataka, children make believe that they are kings and dole out punishments to all and sundry. This particular tradition is based on the mythological legend related with Shivaratri that narrates the story of Shiva punishing Brahma for lying about measuring the length of Linga. Madhya Pradesh Shivaratri is celebrated with religious fervor in the state of Madhya Pradesh. As a tradition, people in Madhya Pradesh take a holy dip in Sagar tank in Khajuraho. The place houses a beautiful Shiva temple. Bundelkhand Region, which has a stronghold of Shaivites hosts the biggest Shivaratri celebrations in the state. A large number of Lord Shiva devotees flock the Matangeshwar Temple and worship throughout the night. Highpoint of the Shivaratri celebrations at the Matangeshwar Temple is the 10-day-long fair that witness the participation of traders, peddlers and gypsies from other parts of the state. Display of traditional fare and a variety of handicrafts besides the rural circus show, magic shows, folk theatre, and merry-go-rounds add to the excitement. Orissa Festival of Maha Shivaratri is celebrated with devotion and enthusiasm in the state of Orissa. Major centres of Shivaratri celebrations in the state are Lingaraj Temple and Hakateswar Temple Atri. Shiva temples located at Mahendragiri, Gupteswar, Kapilas, Bhubaneswar and Khiching also draw a large of pilgrims from across the state. Shivaratri celebration at Lokanath Temple, Puri is also quite popular. According to a legend popular in Orissa, long ago, Puri was a center of Shiva worship. The story goes, Lord Ramachandra himself installed the Lingam in the Lokanath Temple. This lingam is kept submerged, in a vat of water. It can only be seen on Pankodhar Ekadasi, before Shivaratri, when the water is removed from the vat. On that day, thousands of devotees come for a darshan.West Bengal In the state of West Bengal the festival of Maha Shivaratri is performed with great devotion and enthusiasm. On a Shivaratri day, devotees in West Bengal fast through out the day. Following the tradition, they also make four Shivlings made of clay of the holy river Ganga. These Shivlings are later offered in puja in four "prahars" (a meassure of time equal to 3 hours) of the night. In the first prahar one of the shivalings is bathed in milk. In the second period it is bathed with curd, in the third with ghee and in the fourth with honey. The devotees also stay awake the all - through the Shivaratri night. The following morning, they pray, listen to religious discourses, feed the Brahmins, offer them dakshina (alms) and finally break their fast with prasad. At some places in West Bengal, Mahashivratri celebrations are confined to the Shiva temples. Women visit the temple carrying a copper vessel containing milk and water. They also carry with them leaves of woodapple tree, a wood apple, fruits and flowers and a lamp. As a tradition followed in many places, devotees bathe Shiva Linga with water mixed with milk. Puja is performed and fruits and flowers are offered. After Puja they return home to break their fast with fruits. At the temple of Tarakeshwar, 57 km from Kolkata, bare-footed pilgrims carry containers filled with the sacred water of river Ganga to pour over the stone image of the Lord and decorate the granite Lingum with garlands and flowers, as a mark of their devotion. Shivaratri Celebrations around the World Shivaratri is celebrated by Hindus located anywhere in the world. However, celebrations are marked in countries where there is a significant Hindu population. 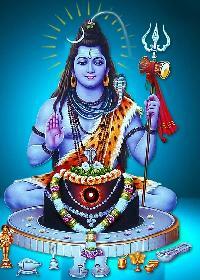 Mauritius In Mauritius, Maha Shivaratri is celebrated in a big way for over three days. A large number of island?s Hindu population makes a pilgrimage to the holy volcanic lake, Grand Bassin and make food sacrifices and stockpile vessels of the holy water. Nepal Shivaratri is a much-anticipated festival in the Hindu kingdom of Nepal. Thousands of pilgrims and holy men from all over Southeast Asia flock Nepal weeks before the festival to worship at the Pashupatinath Temple in Kathmandu. This Lord Shiva temple is considered as one of the holiest shrines of the Hindus. To mark the festival of Mahashivaratri, devotees fast through out the day. They also take a holy bath or dip in the river on a Shivaratri morning and visit the temple to worship. Shivaratri Fast is considered to be the most important fast for the devotees of Lord Shiva. Shiva Purana goes on to say that if a devotee observes Shivaratri Vrata with sincerity, pure devotion and love he is blessed with the divine grace of Lord Shiva. Every year devotees observe Maha Shivaratri fast with devotion and sincerity. Though many go on a diet of fruits and milk, some do not consume even a drop of water all through the day and night of Shivaratri Festival.Merits of Mahashivratri Vrat According to Hindu mythology, observance of mahashivratri Vrat with discipline helps a devotee to control the two great natural forces that afflict a man, rajas guna (the quality of passionate activity) and tamas guna (the quality of inertia). When a devotee spends an entire day in the Feet of Lord and worships with sincerity, his motion is controlled and evils like lust, anger and jealousy, born of Rajas are ignored and subdued. Besides, when a devotee observes vigil throughout the night (jaagran) he manages to conquer the evils of Tamas Guna too. It has also been mentioned that when a devotee observes a round of worship every three hours, the Shivaratri Vrata becomes perfect.Devotees of Lord Shiva believe consider Shivratri fast to be extremely auspicious and rate it equal or more than performing an Ashwamedha Yagna. Some believe that a devotee who observes a Shivaratri Fast with sincerity and utters the name of Lord Shiva with perfect devotion is absolved from all sins. Such a devotee reaches the abode of Lord Shiva and lives there happily. He is also liberated from the cycle of birth and death. Customs and Traditions of Shivaratri Fast As a tradition, devotees who are on a strict fast on Shivaratri take bath with the water that is boiled with black sesame seeds to wash away bodily impurities. After putting on fresh new clothes, a devotee visit the nearest Lord Shiva temple to perform the ritual Shiva Linga bath with milk, honey etc. While bathing the Lingam a devotee prays, "O Lord ! I will bathe Thee with water, milk, etc. Do Thou kindly bathe me with the milk of wisdom. Do Thou kindly wash me of all my sins, so that the fire of worldliness which is scorching me may be put out once for all, so that I may be one with Thee-the One alone without a second." Following the sacred bath, devotee applies haldi-kumkum on the lingum and place a garland of white and pink lotus flowers on it. Bel leaves are also placed at the top of the Lingum. Aarthi and bhajans in praise of Lord Shiva are also sung to invoke his blessings. Devotee also light incense stick and ring temple bell to invoke the blessing of the large-hearted Lord Shiva. It may be noted that unlike most other festivals, where after performing the Puja of the deity a feast follows, a Shivratri fast continues all through the day and night. Devotees observe an all night vigil while chanting the mantra, "Om Namah Shivaya" and singing devotional hymns and songs. Even during the night, Shiva Lings is given the holy bath every three hours. An offering of fruits is also made to the deity. There is also the tradition to listen to the recital of various legends and stories related to Shivaratri and Lord Shiva and to understand its deeper meanings. It is only in the following morning that a devotee breaks the fast by consuming the prasad offered to Lord Shankar. Festival of Mahashivaratri is the most important festival for the millions of devotees of Lord Shiva. The festival has been accorded lot of significance in Hindu mythology. It says that a devotee who performs sincere worship of Lord Shiva on the auspicious day of Shivratri is absolved of sins and attains moksha. Significance of Shivaratri in Hinduism Festival of Mahashivaratri has tremendous significance in Hinduism. According to sacred scriptures, ritual worship of Lord Shiva on Shivratri festival that falls on the 14th day of the dark fortnight in the month of Phalgun pleases Lord Shiva the most. This fact is said to have been declared by Lord Shiva himself, when his consort Parvati asked him as to which ritual performed by his devotees pleases him the most.Even till date, devotees of Lord Shiva perform the ritual worship of Shivratri with care and devotion. 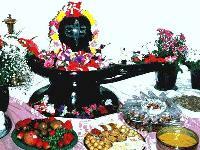 They observe day and nigh fast and give sacred bath to Shiva Linga with honey, milk, water etc. Hindus consider it extremely auspicious to worship Lord Shiva on a Shivaratri as it is believed that worship of Lord Shiva with devotion and sincerity absolves a devotee of past sins. The devotee reaches the abode of Lord Shanker and lives there happily. He is also liberated from the cycle of birth and death and attains moksha or salvation. Significance of Shivaratri for Women Mahashivratri Festival is also considered to be an extremely significant festival by women. Married and unmarried women observe fast and perform Shiva Puja with sincerity to appease Goddess Parvati who is also regarded as Gaura - one who bestows marital bliss and long and prosperous married life. Unmarried women also pray for a husband like Lord Shiva who is regarded as the ideal husband.